Many moons ago, before The Avengers first assembled, Kenneth Brannagh made a Viking Opus which brought the God of Thunder to the big screen. Thor was a great comic book movie and got the mix of action and comedy spot on. The sequel The Dark World wasn't quite the success the original was but was a decent movie. 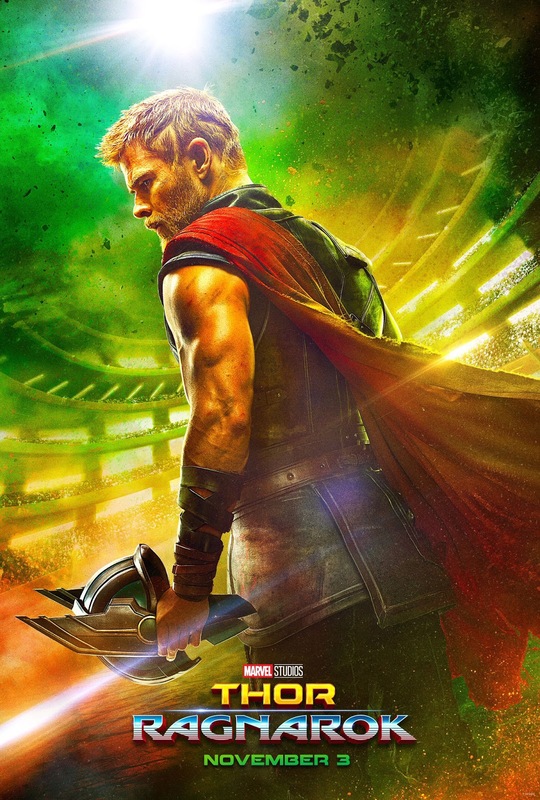 Thor: Ragnarok ends the trilogy on a high and for me it's the best Thor movie. Mrs. 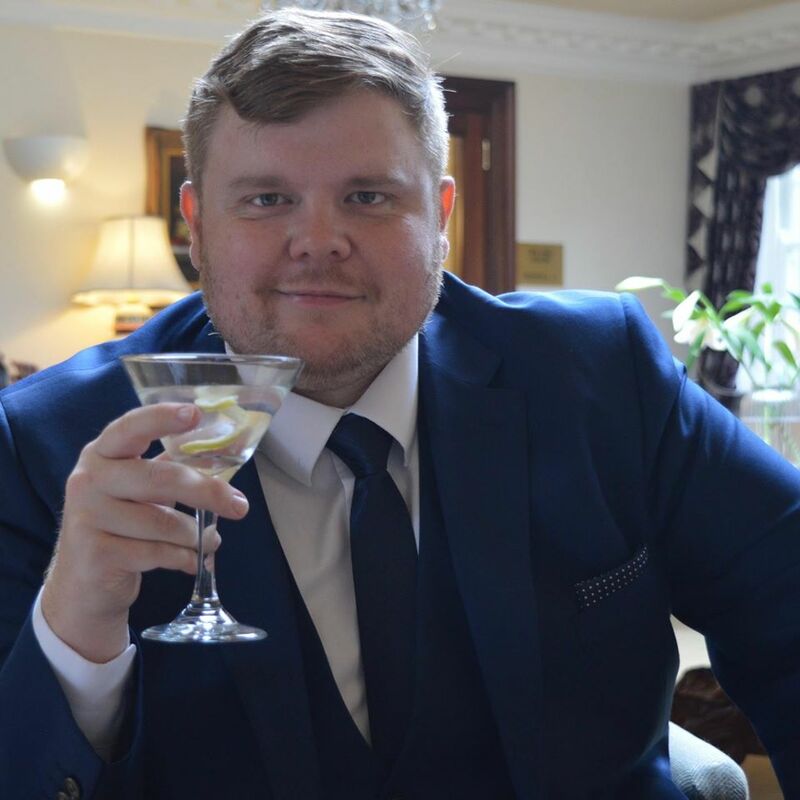 Cool, who is not a big Marvel fan, enjoyed this one too but said you really need to have watched the previous Thor films to get the full benefit from this one. The film starts with Thor (Chris Hemsworth) imprisoned by a fire demon called Surtur whose destiny is to cause Ragnarok, the destruction of Asgard. You soon find out that this film really plays it for laughs and while Thor takes the piss out of his captor he manages to effect his escape. Thor heads home to find not everything is as it seems as he finds Odin (Anthony Hopkins) taking it easy watching a theatre performance depicting the end of the last Thor movie as a Shakespearean play (watch out for a few cameos as the actors in the play). Odin has really been left on Earth by Loki's (Tom Hiddleston) trickery and with the help of Doctor Strange Thor tracks his father down only to be told that his time is almost up and Odin's death will allow the return of the Goddess of Death, Hela (Cate Blanchett). Hela shows she means business straight away buy destroying Mjolnir and sending Thor and Loki tumbling out of the bifrost as they are trying to get back to Asgard. The pair end up on a trash pile of a planet called Sakaar where Thor is captured (again). This time by Valkyrie (Tessa Thompson) who plans to offer Thor up as a contender to a Gladiatorial style combat arena to the leader of the planet, The Grandmaster. Loki has been on Sakaar for longer than Thor due to timey-wimey reasons and has wormed his way into The Grandmasters good books. Now The Grandmaster is played by Jeff Goldblum but I get the feeling he isn't playing a character, The Grandmaster essentially IS Jeff Goldblum and was my favourite part of the film. Thor impresses Jeff who will pit him against the planets champion in one on one combat. The champion turns out to be The Hulk, if you have seen the trailer you know how their first encounter turns out. Hulk has been on Sakaar since the end of Avengers: Age of Ultron and has been Hulk the whole time. Theres is no explanation for this as most of the early scenes with Hulk he seems to quite calm. The interaction between Thor and Hulk is what makes this film so great and turns it into an unexpected Buddy Movie. Thor, Hulk and Valkyrie manage to escape from Sakaar and leave Loki behind after he tried to betray Thor again. They head back to Asgard to take on Hela and her forces. The supporting cast is also great with Jeff Goldblum being the highlight, Karl Urban pops ups as Skurge an Asgardian who helps Hela, the films director Taika Waititi provides the voice of Korg, one of Thor's fellow Gladiators who is made of stone and provides some more comic relief. The film is bathed in 80's-esque neon glow and moves along to an electro-synth score the breaks with recent tradition. Movie soundtracks have been incredible of the past few years with amazing collections of iconic songs slotted into every scene to help tell the story. Thor: Ragnarok, however, goes the opposite direction and relies almost exclusively on the Led Zeppelin Epic Norse Anthem The Immigrant Song and it fits perfectly as a Viking Battle Cry. 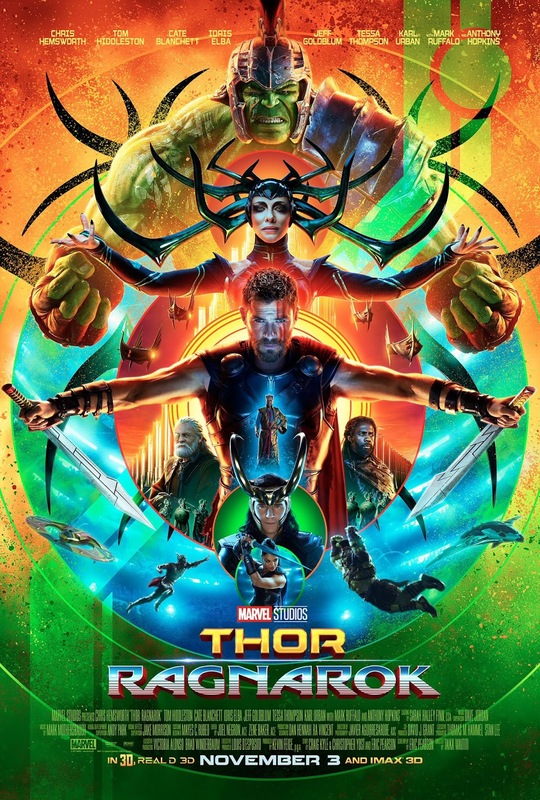 Marvel have been hitting them out of the park and Thor: Ragnarok continues with this being the best MCU movie I've seen since Civil War (maybe even better after a few more watches). It is also the Hulk movie we've all been waiting for. It might be Thor's name on the poster but it's Hulk who steals the show in every scene he's in. This film along with the next two Avengers movies have been mooted as a backdoor Hulk trilogy and I can wait to see what Marvel have planned for everyones favourite Green Goliath. Totally agree this is the best Marvel film I've seen since Dead Pool. Not being a huge fan of super heroes isn't a great start, but it is not a super hero film (to me!) Cat dragged me along to see it and I'm glad she did. lol, do marvel films count as Disney now.